Coming off a disappointing performance in Houston, the Yankees head back home after an off day ready to take on the Chicago White Sox. They will be looking to put the sweep they were just dealt at the hands of the Houston Astros behind them. As the team slowly works towards getting healthy, expect their play to improve. The first game of the series will feature a matchup between Lucas Giolito and J.A. Happ. Giolito is making his third start of the season after struggling in his previous two. He was once the top overall prospect in the Washington Nationals farm system before he was dealt to the White Sox along with Reynaldo Lopez and Dane Dunning in exchange for Adam Eaton. Happ will be looking to return to his 2018 form after a rough start to 2019. He has struggled in back to back outings against the Baltimore Orioles, giving up 6 runs in 8 1/3 innings. He will face a White Sox team that is struggling as he pursues his first win of the early season. Giolito has faced the Yankees once in his career, giving up 7 runs in 5 innings during the 2018 season. The bulk of the damage that the Yankees did during that game came from players who are currently on the injured list. Despite that, expect the Yankees to work the count against the American League leader in walks from 2018 and capitalize when Giolito works himself into trouble. Happ has struggled against a few White Sox hitters throughout his career. Jon Jay has 6 hits in 15 at bats to go along with an OPS of .838. James McCann has an OPS of .975 and Tim Anderson has 6 hits in 10 at bats with an OPS of 1.700. Although these are all extremely small sample sizes, they’re all certainly worth keeping an eye on. Ivan Nova returns to the Bronx for a Saturday matinee against CC Sabathia. Sabathia will be making his season debut after spending the first couple weeks of the season on the injured list following heart surgery during the offseason. He was lights out in his final rehab start in Tampa, going 4 1/3 innings, yielding 1 run on 1 hit while striking out 6. Nova was acquired by the White Sox from the Pirates, who gave him a three-year $26 million extension following the 2016 season. Nova, a former Yankee, was acquired by the Pirates in 2016 in exchange for Tito Polo and Stephen Tarpley. Nova has faced the Yankees once since being traded away, getting the win in a 7 inning, 1 run performance. One Yankee to focus on in this matchup is DJ LeMahieu, who has 5 hits and 2 walks in 9 plate appearances against Nova. Current White Sox players have combined for 59 plate appearance against Sabathia, collectively hitting .186, with a .539 OPS. The player who has seen the most success against Sabathia is Wellington Castillo who has 3 hits in 8 career at bats against Sabathia, including a home run. Carlos Rodon is the ace of this White Sox staff, even if his record does not indicate it. In his career he has a 3.99 ERA, significantly lower than any of the other White Sox starters. He started 2019 with two consecutive strong performances before being roughed up by the Rays in his last start to tune of 4 runs in 4 2/3 innings, eventually taking the loss. Masahiro Tanaka will be getting the ball for the Yankees, looking to keep his early season success going. He took a no decision in his last start despite out dueling Justin Verlander in Houston. A battle of both team’s top starters will be something to keep an eye on in the series finale. In Carlos Rodon’s career he has seen mixed results against the Yankees, however he won his only start against them in 2018. He threw 7 innings of 2 run ball, with the White Sox winning 6-2. One Yankee to watch in the matchup is Gleyber Torres who homered in his only at bat against Rodon. In his career Tanaka is 4-1 against the White Sox. The lone loss however did come in his last appearance against them in 2018, a game in which he gave up 4 runs over 7 innings. One matchup to watch for Tanaka is against the White Sox best hitter, Jose Abreu. Abreu has 4 hits in 12 career at bats including 2 doubles. DJ LeMahieu can flat out hit. He has shown that over the course of his career in Colorado and has continued to prove it in his short stint so far with the Yankees. On the season he is hitting .410 with an OPS of .933. Over the last 7 days, the batting average has dropped a tick but his extra base hits have increased. Of his 9 hits over the last week, 3 have gone for extra bases. He has also come up big when the team has needed it most. He had a huge double that put the Yankees in great position to tie the game against the Astros in the finale. The Yankees brought LeMahieu in to be the on base threat that he was in Colorado and he has certainly delivered. Expect that trend to continue. Clint Frazier’s defense in left field could certainly use some work and would likely land him on the “Not” list if it weren’t for his offense being scorching hot. In the last week Clint has 3 home runs, 5 singles, and 9 RBIs. He has been more patient at the plate, looking for pitches that he can drive and the results are showing. If Clint can improve his defense and keep his approach at the plate the same, Yankees fans will soon begin to see why he was once considered a top prospect in the Indian’s system and a key piece of the Andrew Miller trade. The Yankees need more out of their bullpen in general. It was expected to be a strength headed into the season, however they blew the lead in two of the three games in Houston, and gave up runs, essentially ending any hope of a rally in game three. One of the major disappointments has been Chad Green. In his last 3 appearances, Green has given up 4 runs in 3 innings. He was part of the bullpen failure in game two against Houston, allowing 3 runs to score and taking the loss. He also needs to do a better job with stranding inherited runners. He has allowed both of the runners he has inherited to score. The Yankees and the fanbase have high hopes for Chad Green to return to his 2017 form. His performance simply has to improve if there is any chance of that happening. Zack Britton has given up 3 runs on 6 hits and 3 walks over his last 7 days. This includes giving up 2 runs in game 1 of the Houston series, allowing the Astros to tie the game, which they would later go on to win after scoring a run on Adam Ottavino. In game 3 of the series, Britton essentially ended any hope the Yankees had of coming back after he gave up a run in the bottom of the 8th inning following a 4-spot put up by the Yankees in the top half of that inning. Part of Britton’s struggles have been his inability to locate his pitches. He allowed the bottom of the Astros order to get on base, setting the team up for a big inning on multiple occasions. Britton quite simply needs to be better, especially after signing a big money free agent deal this past offseason. DJ LeMahieu should be the easy choice for an infielder to pick for the fantasy series. All he does is hit, and with the uncertainty surrounding Gary Sanchez’s health, the choice comes down to DJLM or Gleyber Torres. With LeMahieu coming into the series riding a hot start to the season, he should be the choice. Aaron Judge is starting to hit his stride. He had a number of timely hits in the Astros series, after bashing 2 home runs against the Orioles. Judge presents the opponent with a powerful threat any time he steps into the box and it’s only a matter of time until he goes on one of his tears where he hits home runs in bunches. The fun answer here would be CC Sabathia, but he likely won’t pitch much past the 5th inning as the Yankees like to employ the “five and fly” philosophy for their starters early in the season. Tanaka has gotten off to a terrific start in 2019. He has pitched deep into games and limited the opposing offenses to very few opportunities. We are still waiting for one of those classic Tanaka games where his full arsenal of pitches is working and he can mow down opposing offenses which racking up strike outs. This looks like one of those games where it is possible that this happens. Chapman is always a great choice for the bullpen. Although he isn’t the flashy new acquisition or recent free agent signing, he always racks up strikeout as a result of his elite arm talent. He has an overpowering fastball that consistently hits triple digits (although we’re still waiting to see this in 2019), to go along with a slider that he has developed in the past few seasons. Even if Chapman only pitches in one inning per outing, he has the ability to add strikeouts in a hurry. Anticipate the Yankees bouncing back from a tough series in Houston and taking care of business against a struggling White Sox team in the Bronx. In order for this to happen, the sloppy play simply cannot continue. If the team has hopes of accomplishing their goals of winning a championship, they need to clean up their play and start winning some games. Losing 3 out of 4 series to open the season is not what the team or the fans expected, but a series win against the White Sox could go a long way in helping this team “right the ship”. 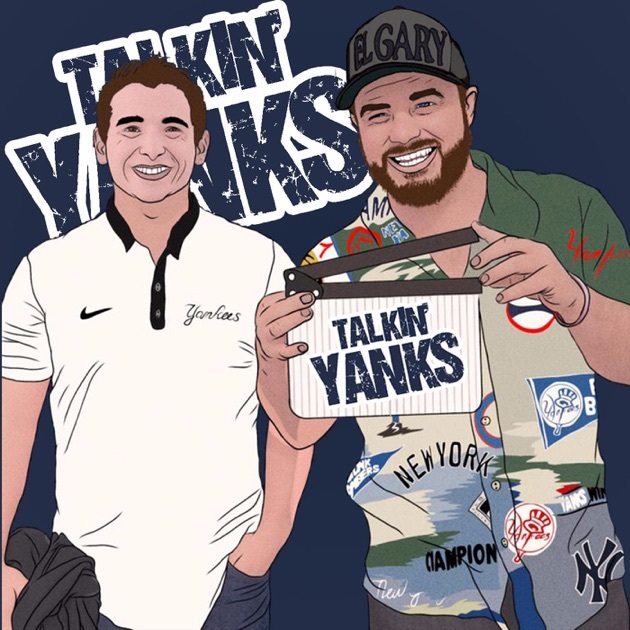 Keep up with the series previews all season and as always go Yanks! Editors Note: This is a new thing we are doing this season. 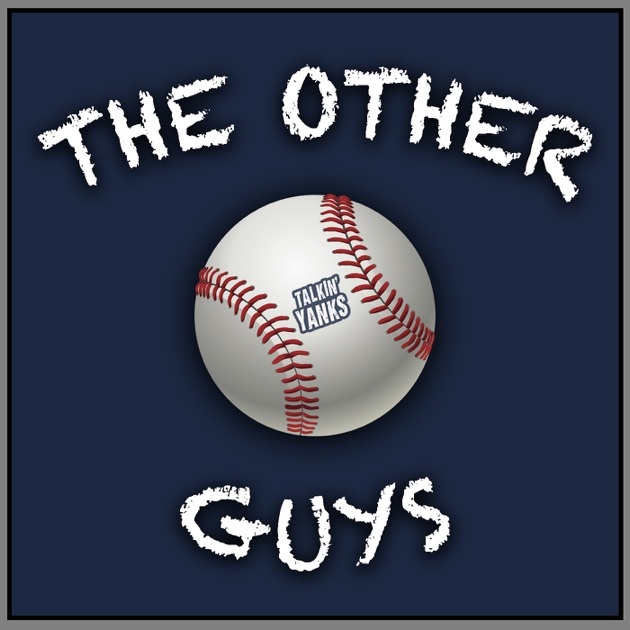 Each series you will choose one outfielder, one infielder, one starting pitcher, and one relief pitcher. We are only counting two stats. Total bases for hitters and strikeoutsfor pitchers. Your totals will be counted and a winner will receive a prize at the end of each month. So make sure you come back and make your picks before each series. You will find them right here on Wills Series Preview post. Mobile Link. Here is the leaderboard after the first four series.